No matter if you are a newbie or an advanced skiier it is always possible to improve yourself by taking ski classes in a ski school or with a ski instructor. If you are travelling with kids it is perfect for them to be trained by professionals from the beginning, and at the same time you might get some extra time for yourself. 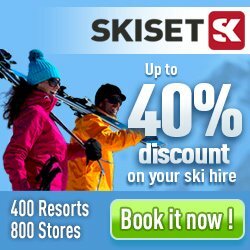 In cooperation with CheckYeti we can offer you ski schools and ski instructors in hundreds of different ski resorts in the Alps. Here you can find not just normal ski classes, but also classes for snowboard, heliskiing, cross country skiing and much more. There are both group and private lessons available. Please observe that the prices are from-prices per hour or day. You will get the complete price including other options when you continue.